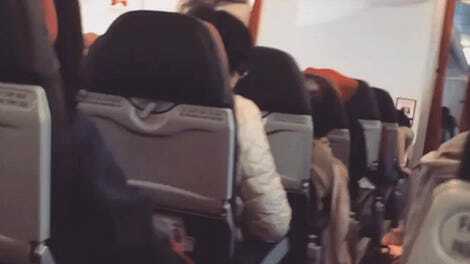 I’ve heard of flight delays for stuff like bad weather and air traffic but admittedly never for ‘luck.’ But these unfortunate passengers in China sure have. Passengers boarding a flight from Shanghai to Guangzhou allegedly saw an 80-year-old woman throw coins at the engine for good luck as she climbed the boarding staircase, reports the South China Morning Post. They alerted the crew, who found nine coins in and around one engine. The woman, who was traveling with her husband, daughter and son-in-law, told police that she threw the coins as she “prayed for safety,” reports the BBC. Local police said that all in all, the change totaled about 25 cents. All 150 passengers were evacuated as the maintenance crew conducted a full engine examination. The flight was finally given the all-clear and took off over five hours after it was supposed to.